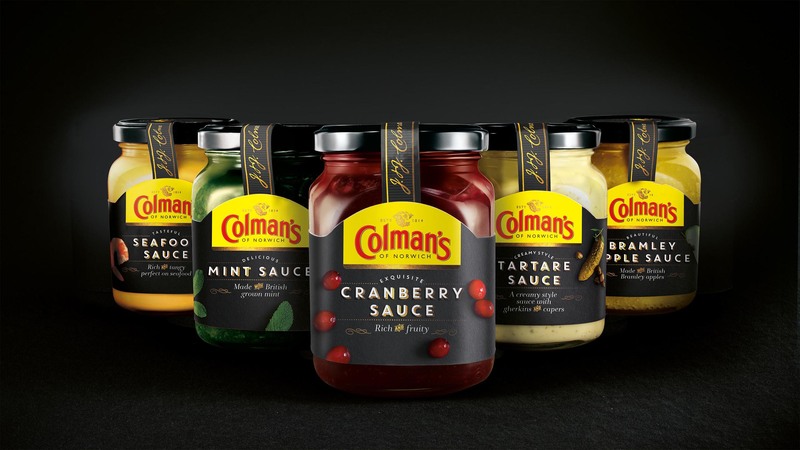 Our long history with the Colman’s brand has encompassed moving this heritage brand into a modern future with a cohesive yet flexible design architecture that allows for multiple product ranges. Our 200th anniversary commemorative packs, desirable Limited Editions and Giftables are a real celebration of this iconic brand. 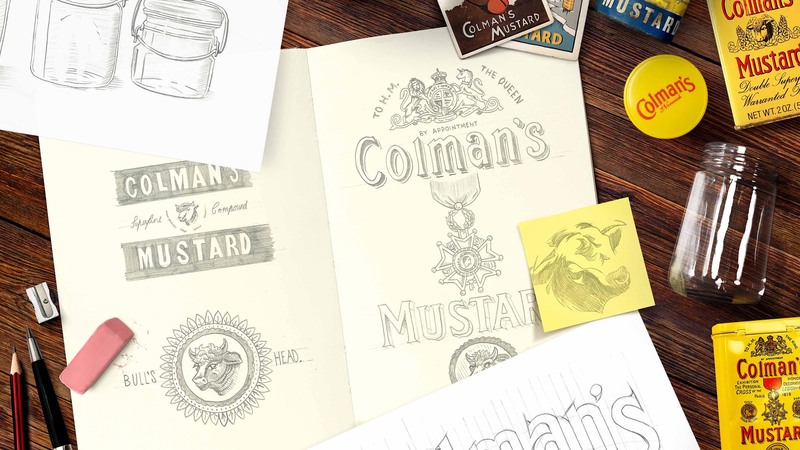 In 1814, Jeremiah Colman began one of Britain’s most loved brands with a little yellow tin. 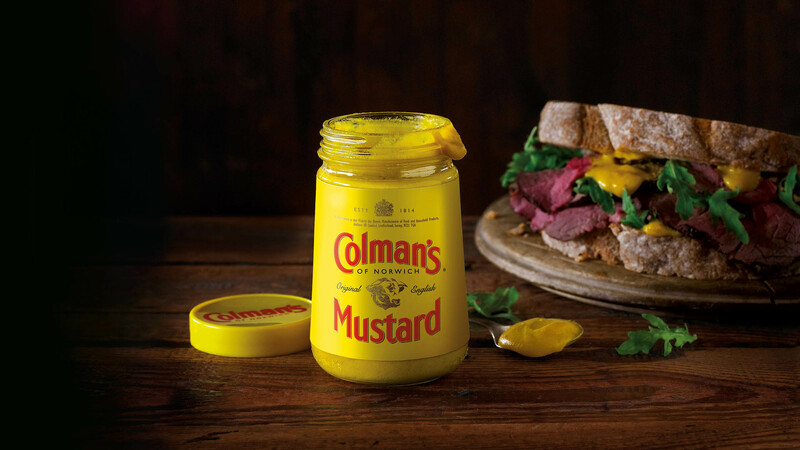 Since then, British dinner times have benefitted from an impressive expansion of the Colman’s portfolio, from English mustard through to the more recent additions of seasonal sauces and meal kits. 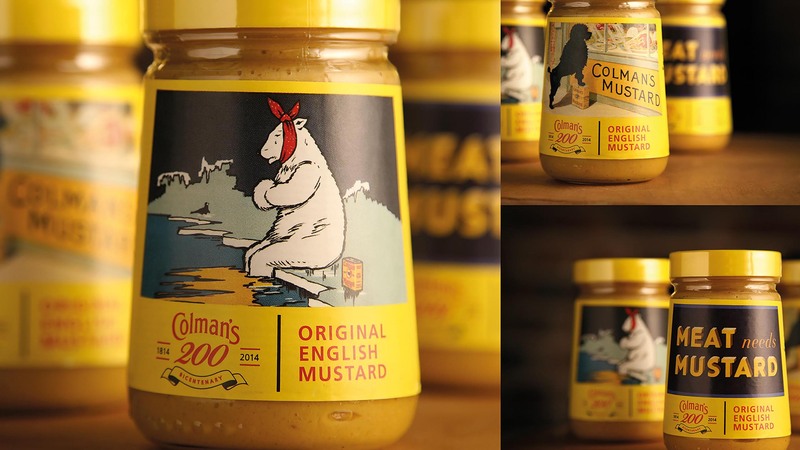 With Colman’s celebrating 200 years, all eyes were on a brand that has stood strong for so long. 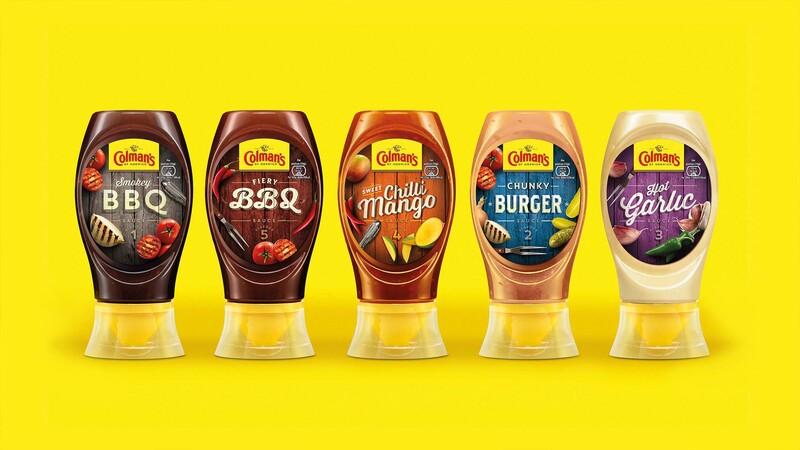 Aggressive innovators piling into the category demanded a fresh energy from Colman’s to modernise in a relevant way for their consumers. That’s where we stepped in. We were asked to evolve the brand for today whilst resolving inconsistencies between ranges and communicate the values of a new brand key. With food worthy of a royal warrant, understanding what Colman’s means to British families was paramount. We immersed ourselves in the world of the Colman’s mum, sharing with them our thinking, development and ideas to craft an identity truly in tune with the modern consumer. As we translated key strategic insights into impactful designs, our development spanned from evolutionary to revolutionary as we mastered the careful balance of the brand’s proud heritage with a contemporary yet relevant edge. A sympathetic, modernised design with a bold and ownable brand architecture, allowing for brand stretch and future NPD.